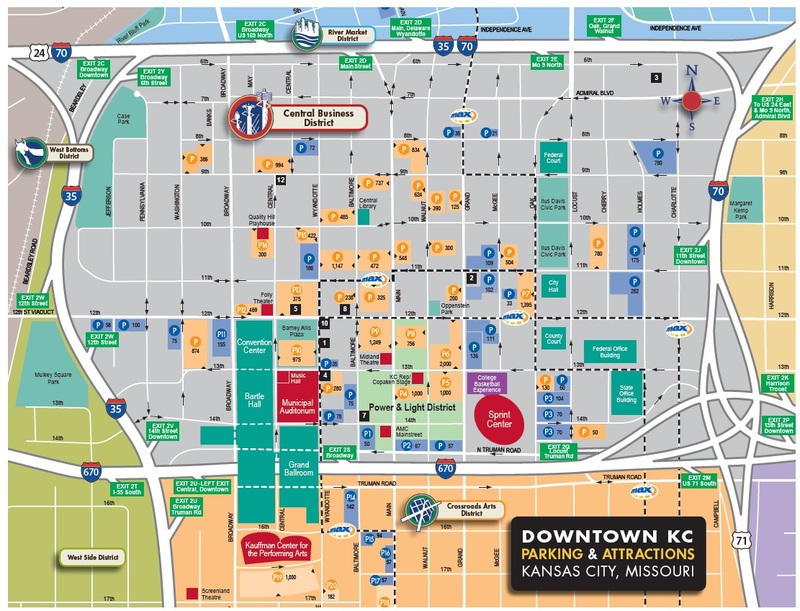 In the past month, Kansas City’s Parking Advisory Board has begun circulating to Downtown neighborhoods and stakeholders a draft overview of a proposed ordinance that would enable Parking Benefit Districts. The basic idea of a Parking Benefit District is pretty simple. In the proposal’s own language, “a percentage of the funds collected from paid on-street parking spaces within a Parking Benefit District are used to fund capital improvements that may include streetscape, public transit use, walking, and cycling.” The clever idea behind the proposed Parking Benefit District is that a portion of the revenues collected from the City’s efforts to manage parking in Downtown neighborhoods could help to support alternative modes of transportation that reduce the future demand and impact of parking over time. The proposed Parking Benefit District is a great example of an approach that the City should be taking across the board in its strategic decision making and administration of City services. With the proposed Parking Benefit District ordinance, we see a proposal that ties together community goals, capital investments, and management of infrastructure and services in a manner that is coherent and mutually supportive. The proposed ordinance signals a recognition that urban parking is a system that connects to and impacts other City services and operations. While the core purpose of priced parking in an urban environment is not to generate revenue but rather to regulate supply and promote availability, the proposed Parking Benefit Districts provide an avenue to make parking work better and support other community goals at the same time. By enabling parking revenues to support transit, walking, and cycling infrastructure, the proposed Parking Benefit Districts also help to mitigate some of the negative impacts of car storage in urban areas. While the proposed Parking Benefit Districts represent a forward thinking approach to parking with potential to bring tangible benefits to urban areas, the City should be pursuing a much more comprehensive approach to parking management. Instead of a short term, narrowly focused capital improvement mechanism, the City would benefit from creating permanent, managed, shared parking districts that could fulfill the goals of the Parking Benefit District but do much more as well. A true Municipal Parking District would function as a permanent management entity that works in partnership with property owners and potential developers to operate (and build) a shared pool of public parking in a manner that is both more efficient and lower cost than parking constructed and managed on a site-by-site basis. 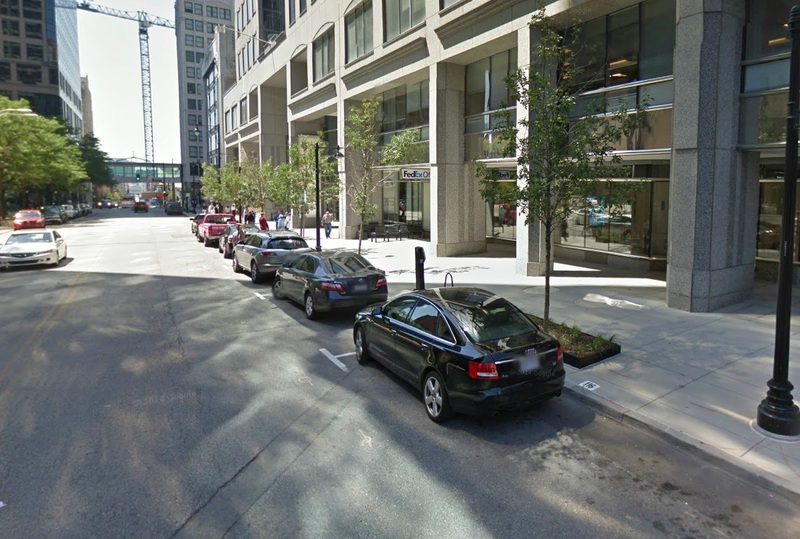 Urban Angle has compiled fifteen different strategies that would improve parking in Downtown Kansas City and that could be employed through a true municipal parking district. We’ll admit that it’s more than we ever wanted to think about parking, but if it helps to chip away at the amount of Downtown real estate devoted to car storage and enables more active and productive uses, then we think it is probably worth it. Urban environments have several natural advantages when it comes to parking. Because they typically consist of a mix of uses in a dense environment, they enable different uses with different parking demands to share the same parking spaces throughout the day. For example, an office use may require parking during normal working hours, while demand for residential parking is highest in the night and evenings. A single parking area can serve both uses adequately. Urban environments are also typically compact and walkable, which enables drivers to park once and visit many destinations. It is not necessary for each use to provide parking for all of its users because they are easily accessible from parking areas throughout a district. As a result, fewer parking spaces and fewer auto trips are necessary in an urban environment. Finally, urban environments generally facilitate travel by walking, cycling, or transit, which reduces the need for driving and parking altogether. In suburban areas, each use requires separate driving trips and dedicated parking. A typical person’s travel from home to work to shopping and home again requires four trips and three parking spaces for a single car. Compact, mixed use urban areas permit a “one trip, many destinations” approach, reducing overall demand. 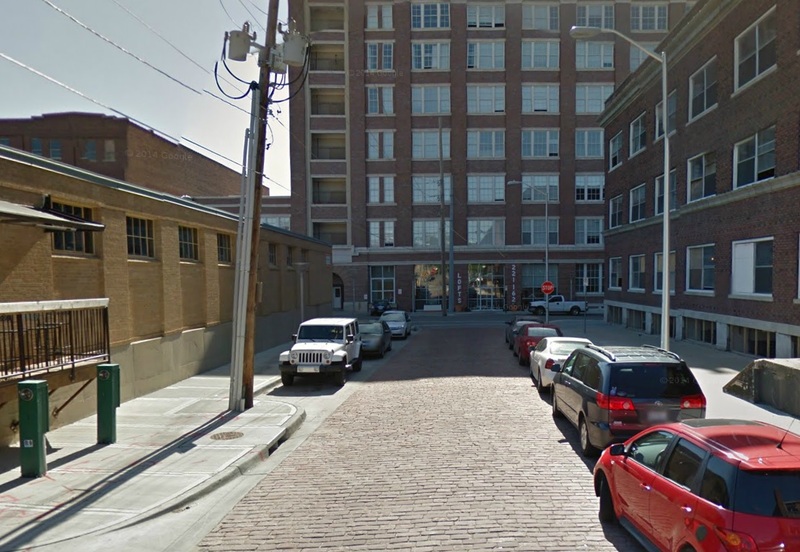 These spaces in the Crossroads serve office workers during the day, restaurant goers in the evening and loft residents at night. However, these natural parking advantages can only be realized if there is an efficient sharing of parking supply. If parking areas are restricted to specific users at specific times, or are difficult for users to find and use, this reduces efficiency, exacerbates parking shortages, and, ultimately requires a greater area devoted to parking. This in turn detracts from the quality experience of the place that is luring activity in the first place. Because parking in urban areas includes many different parcels, landowners, needs, and interests, a municipality is a logical entity to manage a shared parking pool for the mutual benefit of everyone. This supply can include publicly owned parking, private parking leased for public use, or parking made available through shared parking agreements. By managing a shared pool of public spaces, the City can get the most out of (often very costly) investments in parking infrastructure. With a shared parking district, developers, property owners, and employers can meet parking demand from tenants at lower cost than building separate, site-specific parking for all uses. Savings on parking can reduce housing costs and lease rates while enhancing amenities and quality of development. An efficient shared parking supply also reduces the impact of parking areas on the built environment and pedestrian experience, and enables more land to be devoted to active, productive uses. Often, when parking problems occur, the issue is not that there is not enough parking in the general area, but that there is not enough visible and accessible parking in a very specific location of high demand. A simple valet program can resolve this issue by providing visitor-friendly service in high demand parking areas, while spreading out parking to underutilized lots outside the area of highest demand. A valet program would improve the efficiency of parking while simultaneously enhancing the user experience. Revenues from valet service could support other priorities of the parking district. Valet service is a simple service with lots of upside. It enables a more efficient use of underutilized parking lots without sacrificing convenient front-door access for drivers to high demand destinations. Downtown Kansas City has a lot of parking, but this parking is not always well used. Often this is because parking is restricted to specific users or specific times. Particularly in areas of high parking demand, property owners will restrict and enforce parking to protect access for their tenants, which only exacerbates shortages and results in the entire parking supply working less efficiently. A parking district could help to address parking shortages and compensate property owners for the value of their parking by leasing private parking for public use. A lease structure could provide benefit to private landowners by providing payment greater than existing parking revenues, but below a rate that would discourage redevelopment. Shared parking agreements could also address liability and maintenance issues, providing property owners an avenue to improve their properties with assistance from the parking district. There are a wide variety of lease arrangement that could respond to specific site conditions, including the preservation of certain spaces for dedicated use. Leasing of private parking for public use could be funded through other programs of a parking district, including permit programs, development fees, and on-street parking revenues. 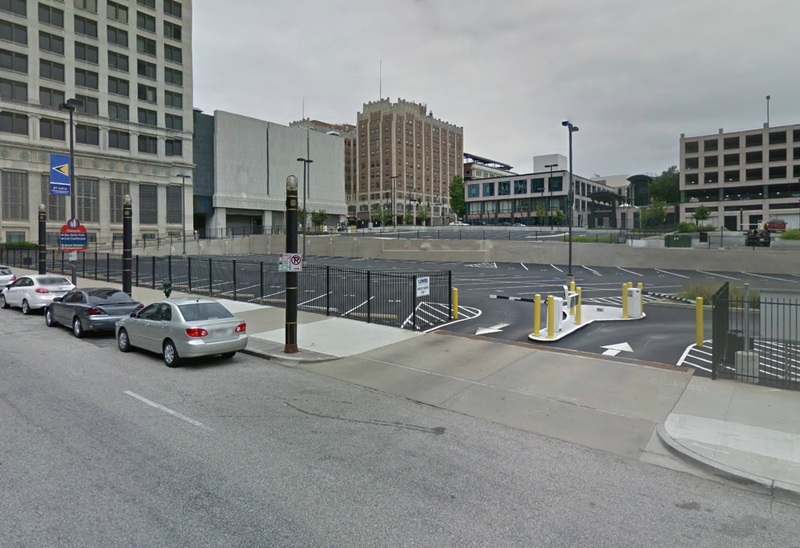 Because it is restricted to specific users at specific times, this Downtown parking lot functions far less efficiently than it would as part of a shared, public supply. Few uses are less desirable in an urban environment than car storage, but empty asphalt is one of them. A parking permit program for residents and employees of a parking district could reduce parking costs while helping to provide greater parking availability in high demand areas. Permit programs would be facilitated by having a large pool of public spaces, and could work by offering residents and employees rates for on or off street parking that are lower than the market rate, provided that parking occurs outside of the areas of highest demand. Permit programs can also be used to manage overflow impacts from employment and retail uses in primarily residential areas. Fees from a permit program could help to support lease agreements, but could also be used to support a variety of public infrastructure improvements in a manner similar to the proposed Parking Benefit District ordinance. 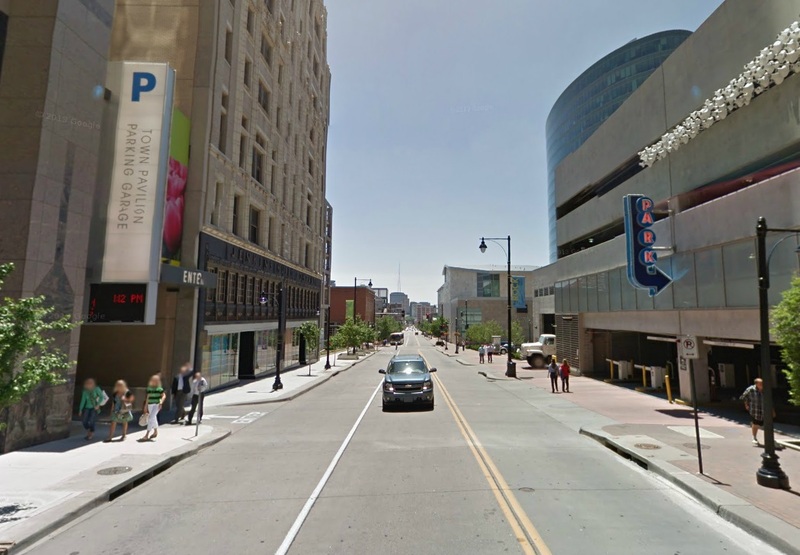 In some parts of Downtown, Kansas City has removed minimum parking requirements. In those parts of Downtown where minimum parking requirements still apply, and in the City’s other urban centers, a parking district could encourage more efficient use of parking by enabling developers to pay an in-lieu fee to meet their parking requirements through an existing pool of shared supply. Developers could pay a per-space fee to access shared spaces that is less than the cost of building new parking. This approach reduces the overall cost of development and also increases the flexibility of development, particularly on small and infill sites that present challenges to developing with on-site parking. Through lease and management of a shared pool of public spaces, a parking district presents a unique opportunity to reorganize and consolidate parking facilities. Often parking areas are design inefficiently because they are constrained by parcel boundaries, or fenced and secured in a way to serve individual sites. Where a parking district is able to bring multiple adjacent private lots into a shared pool of public supply, there are often opportunities to reconfigure parking areas to improve efficiency and circulation. 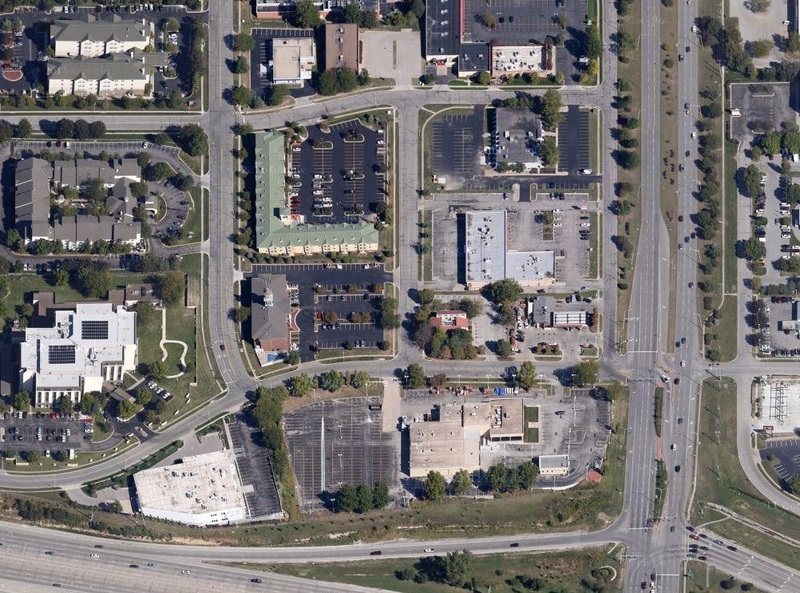 Often, this increases the total parking supply without increasing the amount of land parking consumes. With revenues from a variety of sources, a parking district can incorporate features such as landscaping, pedestrian connections, signage, and other amenities as part of consolidation efforts. Three separate parcels with separate access and circulation result in parking inefficiencies. A consolidated facility could provide more parking, or the same amount of parking and room for more active uses. By organizing as much parking as possible into a pool of shared supply, and by providing a variety of revenue streams to support parking infrastructure and operations, an effective parking district can be an invaluable tool in separating parking from development costs. In dense urban environments, the cost of parking often represents a major component of development costs. 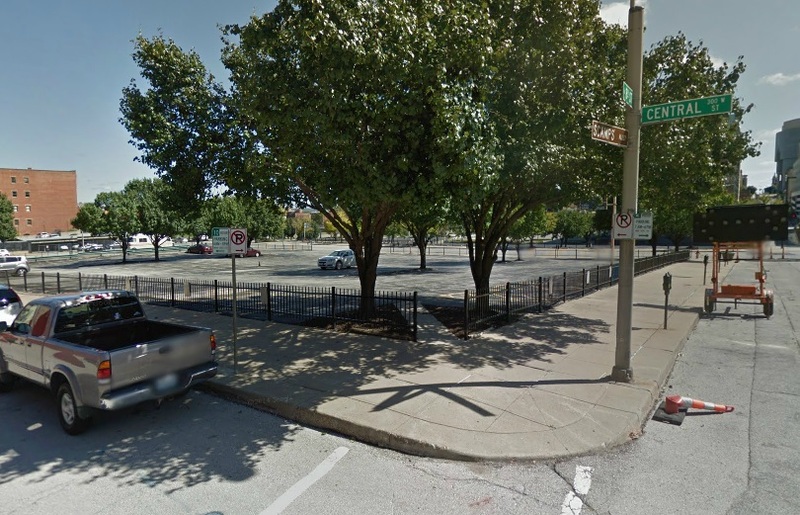 Parking infrastructure is often the target of public incentives to encourage development. A parking district supports a comprehensive system of public parking that can meet the needs of multiple developments simultaneously, with devoted revenue streams that can support financing of new parking infrastructure when it is necessary. This has the potential to change the financial equation for urban development, and unlock the potential for incentives to address an expanded set of community priorities. A parking district could create, manage, and market a parking information program that helps users to understand parking locations and regulations in an area. This information program could be in the form of physical signage or handouts available in district destinations, as well as a parking website or app that coordinates with the website of the City and business associations. A parking information program could be integrated into broader district marketing efforts as part of efforts to enhance the visitor experience. The City is currently pursuing a variety of wayfinding efforts in the Downtown area, ranging from “smart” kiosks at streetcar stops to low-cost pedestrian wayfinding signs identifying walking times to various destinations. Signage and wayfinding for parking areas in particular is critical in order to ensure that available parking is used as efficiently as possible. A parking district is the ideal entity to manage, fund, and implement an integrated system of wayfinding signage for parking. Signage can create greater visibility for parking areas, and provide visitors clarity about whether or not a lot is available for public use. Wayfinding signage can also be coordinated to improve connections between public parking areas and popular destinations. 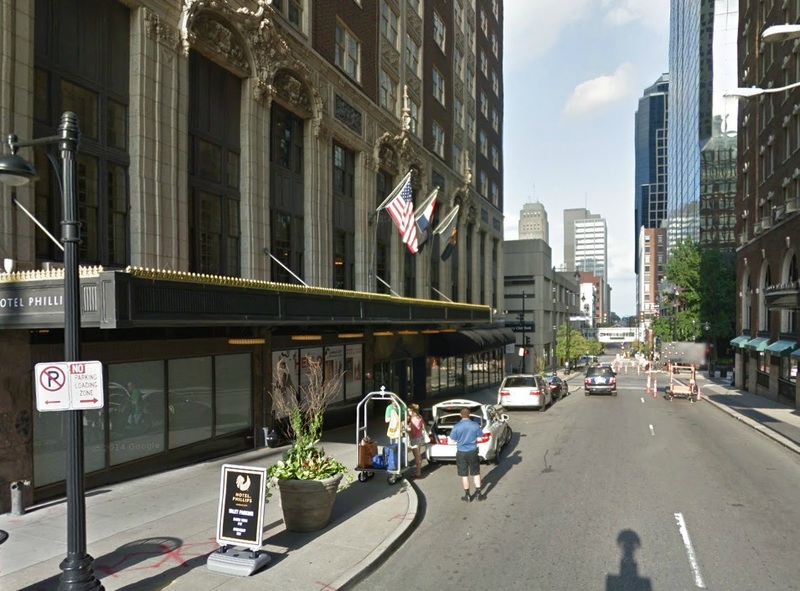 By helping parkers navigate from their parking space to destinations, good parking signage can improve the perception that parking is difficult Downtown. A parking district can also coordinate parking signage with broader wayfinding and branding efforts to ensure an integrated and coherent experience for visitors. A coordinated parking wayfinding program, integrated with Downtown’s other wayfinding and branding efforts, could help to dispel the false perception that parking is scarce and difficult Downtown. Because parking districts have the capacity to manage a large pool of public parking in an area, they are uniquely positioned to track and communicate parking availability. Many parking lots and garages are able to automatically monitor how many spaces are being utilized. A parking district can aggregate this data and provide it to visitors through a website or mobile app. An online tool such as this could also help parkers navigate from parking areas to their destination or connect them to other useful information about their surroundings. A system for real-time availability is ultimately a tool to help with both more convenient and efficient use of available parking supply. The City of Kansas City, through its Parking Advisory Board and other venues, is already pursuing strategies to update payment systems for on and off street parking. A parking district could host and manage an advanced parking payment system that does everything from operate resident and employee permit systems to meter payment by phone, to reservation of specific parking spaces ahead of time. All of these features and new technologies can improve the convenience and efficiency of parking, but really require resources, planning, and management that existing agencies cannot provide. A parking district can provide the venue to investigate, test, fund, and manage emerging technologies for parking payment. A parking district could test and deploy new technologies to make parking easier to find and use, such as this digital parking kiosk on Walnut Street. While today, the Parking Advisory Board is forced to respond to parking issues on a site-by-site basis, in response to particular property owner concerns, a parking district could establish and administer a policy for time limits and pricing of on- and off-street parking to inform decisions and begin to connect specific regulations to their purpose of incenting specific parking behavior. Building on the need to administer a coherent parking policy, a parking district would have the capacity to undertake a long-term effort to align time limits and pricing throughout an area with actual demand. Parking Districts could establish policies for time limits and pricing to achieve a target parking occupancy for each block. A comprehensive strategy for parking time limits and pricing can also be crafted to encourage use of underutilized parking areas by increasing prices in high demand locations, and providing lower rates for lots with less demand. This 10 hour parking across from a retail business on Central Street is located just 20 feet away from 2 hour parking on Wyandotte Street, exemplifying the arbitrary nature of Downtown Kansas City’s parking regulations. 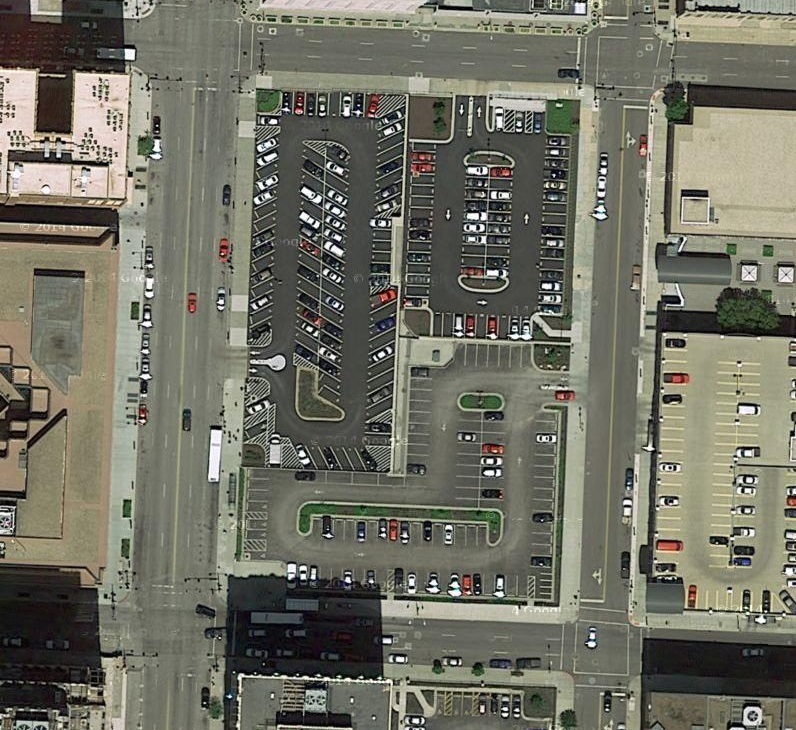 A formal managed parking district would also provide a venue to monitor occupancy and make adjustments over time. A parking district could hold the authority to adjust time limits and pricing according to an adopted parking policy goal, and by so doing align the regulatory mechanisms of parking with their most important purpose – the convenient and efficient operating of parking in a particular district. Much like the Downtown CID “Yellow Jackets” have a visible presence on the streets of downtown, a parking district could facilitate a more visitor-friendly approach to parking enforcement with parking ambassadors whose primary charge is to inform, educate, and assist visitors with navigating downtown parking. A more customer-focused enforcement approach can encourage happier Downtown visitors while still collecting revenue and enforcing parking regulations. Congratulations! You made it to the end. Of a blog about parking. That you read in your free time. What have you become? If you leave with nothing else, please take the knowledge that parking can be better and we have tools to fix it! Also, this blog post requires a special thanks to Jason Schrieber, who inspired me to think more creatively about parking and introduced me to many of the tools to do so. Great, critically-thinking breakdown of how to better manage what we already have at our disposal. It certainly makes sense that we must work together (city, businesses, citizens, etc.) to create a well functioning environment that caters to everyone.